Q: What is: Boerboel, Cane Corso, Fila Brasileiro? Q: What are: ATTS, CGC, IABCA, PDI? If you answered the above quickly and easily, you’re likely among those who live and work with canines who love their work and are serious about having fun. If you didn’t recognize these terms, you’ve got plenty of company — including many of the Spot crew. 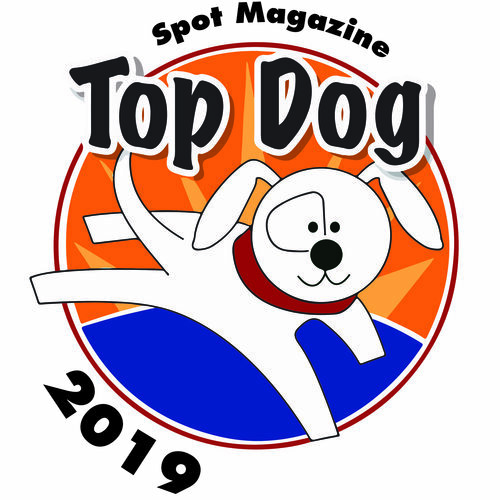 Please join us in getting better acquainted with the goings on “in the field” of canine competition. Perfect timing, as the NW Working Dogs Expo is happening June 12-13, providing a great opportunity to experience (and participate in!) a canine culture that works hard, and plays hard. The fun-filled weekend will have many activities, tests and competitions, including temperament testing, protection work and conformation. Following is our primer. Because canine games are increasingly welcoming mixed breeds and novices, maybe we’ll make a great showing! 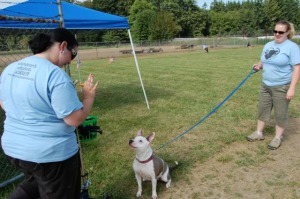 To get the low-down, Spot talked with Victoria Armstrong, board president of Pacific Northwest Pit Bull Rescue. First on her mind: the June expo at Columbia County Fairgrounds in St. Helens, OR. The two-day event is open to the public and all breeds, including mixed breeds. “You will see all kinds of dogs, breeds you won’t see at other shows,” says Armstrong. Canines from throughout the Northwest will come to compete in the IABCA (International All Breeds Canine Association) Conformation Show. “Last year I saw everything from American Eskimos to Chihuahuas, Poodles to larger breeds — you name it,” says Armstrong. Boerboel – Large Mastiff originally from South Africa, originally bred to guard the homestead. Boerboels are known for a calm, confident and protective character that is not aggressive. Their obedient, intelligent nature makes them a breed of choice for guarding — by rural farmers and urban dwellers alike. Cane Corso – An Italian breed of Mastiff that is well-muscled and more athletic-looking than other Mastiffs. The name derives from the Latin word “Cohors,” meaning guardian or protector. This quiet working breed requires substantial exercise, a strong owner, training, and boundaries. The breed was recovered from near-extinction in the 1980s. Fila Brasileiro – A large working-breed Brazilian Mastiff believed to have evolved from the Mastiff, Bulldog and Bloodhound lines. Known for large bones and extremely loose skin, the Fila Brasileiro is a natural guardian who is extremely loyal and protective, bonds strongly to its immediate family, and does not hide its distaste for strangers. These animals require experienced owners who understand and can handle the breed’s innate tendencies. For protection dog competitors and fanciers, a highlight of the season is the Protection Dogs International (PDI) NW Regional Trials, taking place at the expo on Saturday. Officiating the trials will be Mr. Kenneth Humphrey, a renowned trainer and judge for police service dogs of over 20 years. In this competition, dog/handler teams work toward different titles, while novice handlers test their dogs’ obedience and protection skills. While some trials or competitions aren’t for all dogs, the expo welcomes all dogs, regardless of breed or training. A huge draw at the event is ATTS testing. ATTS is the American Temperament Test Society, whose motto is, “A Sound Mind in a Sound Body.” The nationally-recognized instinct-based ATTS test focuses on and measures different features of temperament, including shyness, friendliness, nervousness, aggressiveness and stability, as well as a dog’s instincts for protection and/or self-preservation. The non-competitive ATTS test embraces both purebred and mixed-breed dogs. Armstrong equates it to “a busy day at the park with your dog.” Dogs are exposed to an assortment of conditions they might encounter in everyday life, including people exhibiting a variety of behaviors, and loud and strange sounds, movements, surfaces and environments. The dog is critiqued on how well he or she reacts and recovers from stimuli, taking into account his/her breed’s tendencies, as well as age, health and training. Dogs who don’t pass are given suggestions from the judges on how to improve their performance, with the idea that eventually they will pass. Everyone is welcome to the upcoming expo, and anyone can play, whatever their breed or skill set. ATTS testing is $30/advance or $40/show day. Early registration is recommended, as the tests fill quickly. Another similar, but different, test at the expo is the CGC, based more on obedience than temperament. Widely known, the AKC’s Canine Good Citizen (CGC) program stresses responsible pet ownership and good basic canine manners. The CGC lays the groundwork for other activities, such as agility, herding and advanced obedience training. CGC certification is a prerequisite for becoming a service or therapy dog with some organizations. “Basic manners,” is how Armstrong describes the CGC. “How to sit calmly, stay in a down position, heel, and be comfortable when separated from its owner” are just some of the behaviors required for certification. As owners work with their dogs to pass the CGC test they discover the many benefits and joys of training, says Armstrong, as well as a deepening of the human-canine bond. Another plus: obedience-trained dogs are typically well-liked and accepted in their communities. As with the ATTS, the CGC title proves you are responsible enough to train your dog to a level considered safe and polite in public, which can make a difference with some insurance companies and landlords. Anyone can take the CGC; testing will be ongoing throughout the expo. Cost is $25; early registration advised. In addition to trials and testings, the action-packed weekend will also include search & rescue demos, canine hearing tests, vendor booths, and the annual Raffle 4 Rescue. Raffle prizes are all dog-related, including collars, leashes, quality food and supplements, massage classes for pets and people, and more. “All the money goes to local rescue organizations,” says Armstrong. If you’ve ever wanted to sample the world of canine games and behavioral training and testing, the NW Working Dogs Expo just might be the best one-stop opportunity this year. 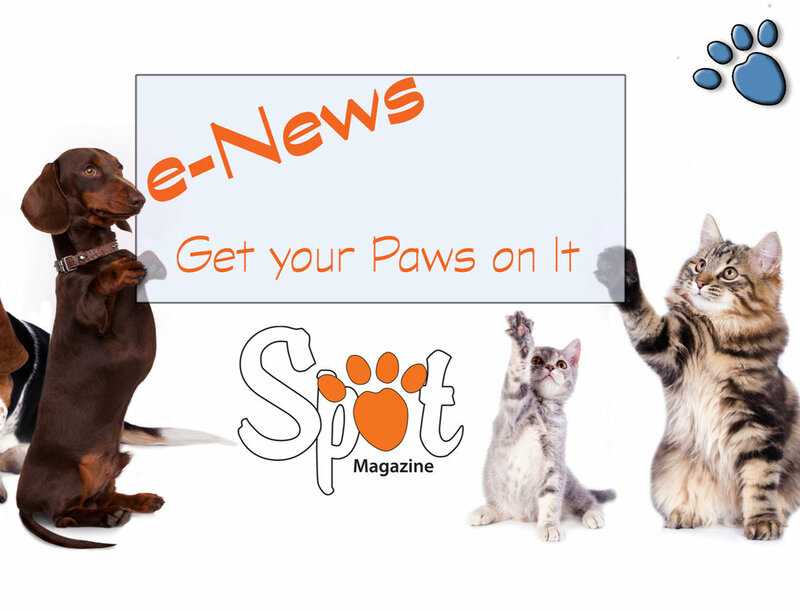 Posted in Life with Pets, Events and tagged with Canine Games, Sports, Dog Sports, Events. June 1, 2010 by Vonnie Harris - Spot Magazine.